Once there was a time when colour choice in bathroom waterware was everywhere; with avocado, shell pink, sunny yellow, dusky brown and baby blue liberally used across matching suites, often complemented by mosaic tiles in similar hues. 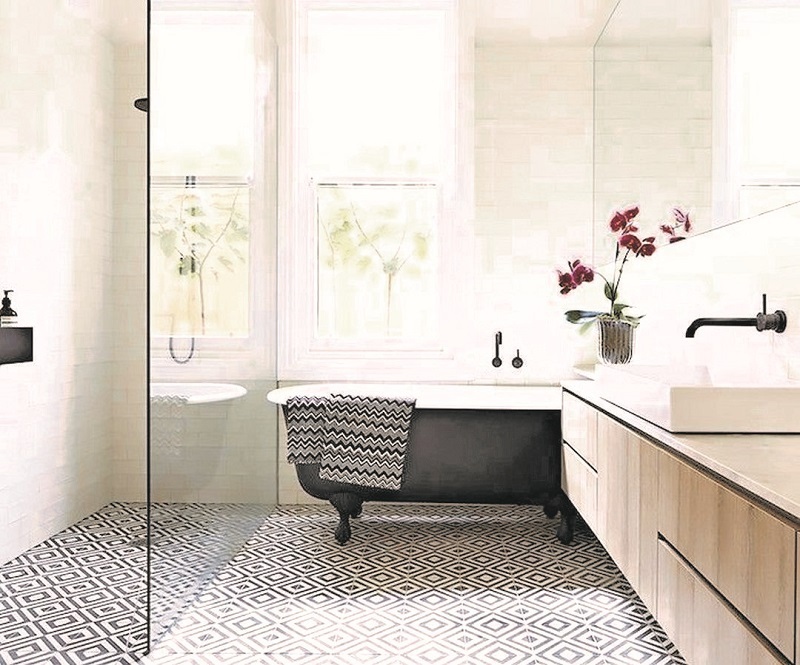 Then those colours disappeared as stark white became the bathroom staple in basins, baths and shower trays, while tapware options skewed towards metallics with chrome, stainless steel, nickel, brass, rose gold or copper on offer just for starters. 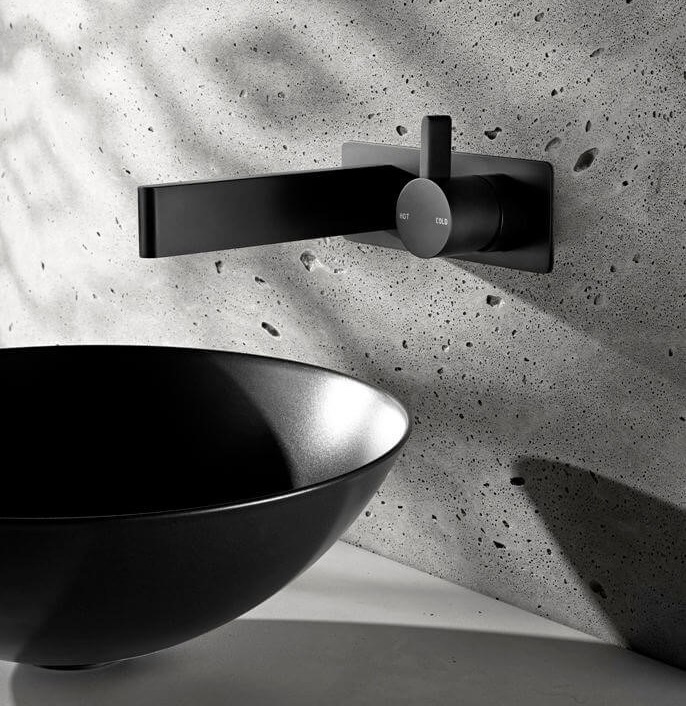 But as pervasive as it is in fashion, black is starting to make an impact in the bathroom – and not just in tapware. It’s easy to see why: as a colour, black will never go out of style, it contrasts well with white and provides a monochrome look that is pretty timeless. 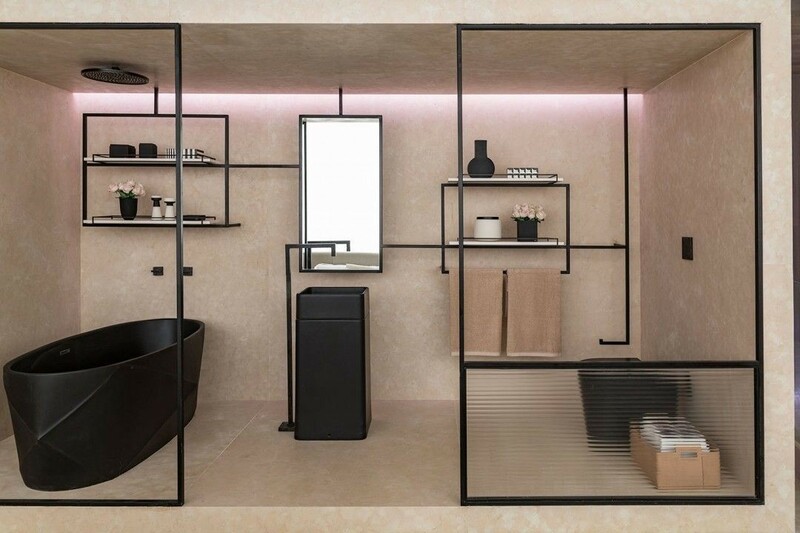 While admittedly an unconventional colour choice, there are several pros for letting elements of luxurious black creep like a shadow into your bathroom. Naturally you want your bathroom to blend seamlessly with the rest of your interior design scheme. 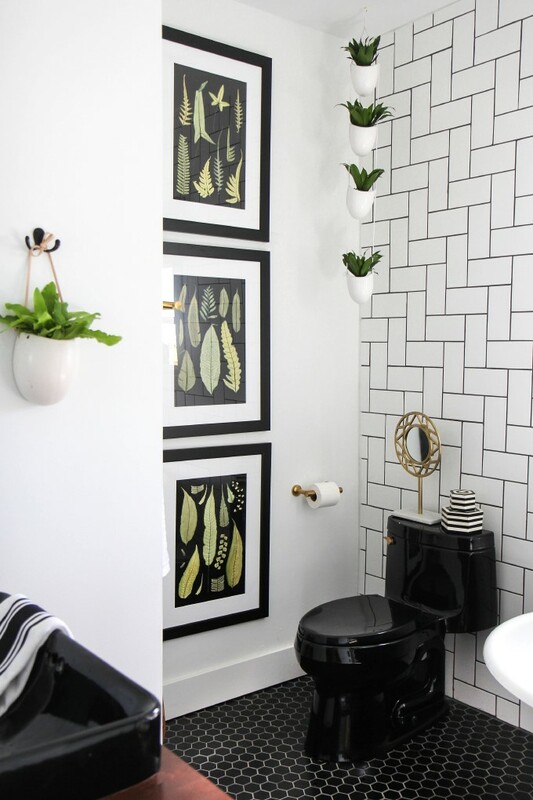 Luckily, no matter the era of your home or the design of your bathroom – be it traditional country-style or modern industrial chic – black will fit right in. Want a minimalist look? No problem, black contrasts nicely with white and light palettes. Want to make a statement? Perfect, black can make a show-stopping impact, even becoming a pivotal feature. A great way to ease into the black bathroom trend is to install just taps, faucets, showerheads and perhaps black lighting fixtures – it isn’t as much of a commitment as switching out the fixtures. The next step is to perhaps consider putting inky hues into the grout, tiles on the floor, walls and vanities. Black mixer taps can be competitively priced compared to chrome, which is good news if you just want to give your bathroom a quick and stylish update. Lower budget options can fade over time but are affordable so you can replace them without taking out a second mortgage. More expensive styles will have a higher quality finish, better internal hardware and extended warranty, so if you are after longevity the choice really is yours. Black tapware is usually manufactured with an electroplated finish that is durable, resistant to marks or scratches and doesn’t show fingerprints or watermarks like highly polished finishes such as chrome or stainless steel. You can’t use harsh chemicals or abrasive materials to clean it, but warm soapy water and a soft cloth keeps it looking as good as new. Going dark in the bathroom can create a dramatic and luxurious looking environment but making it work in a small or under-lit bathroom can be tricky. So how do you get this look without making your bathroom feel dark and confining? Use it sparingly, mix textures and shades, stick to accents and focal showcase pieces to add drama without being overwhelming. Some say that New Zealanders wear more black than anywhere else in the world. Is it because of our love of the All Blacks? Or is it something to do with our psyche? Whichever reason you choose, it’s good to know that you can now embrace black in the bathroom too! For more bathroom and colour trends, or any other renovating projects, then visit the Auckland Home Show, 5 – 9 September 2018 at ASB Showgrounds, Greenlane, to get free expert advice and design guidance from more than 500 leading industry experts and suppliers. See www.aucklandhomeshow.co.nz for more info!